Boaters enjoy the Chama River, 2017. Governor Michelle Lujan Grisham’s state of the state address mentioned a new job title in her administration: an outdoor recreation coordinator. The new position would mark another step toward New Mexico joining a growing movement to bolster the outdoor industry as an economic force. The previous administration’s #NewMexicoTrue campaign could be seen as an early foray here, and in May, Las Cruces hosted the New Mexico Outdoor Economics Conference, with a keynote speech from U.S. Senator Martin Heinrich. Sen. Jeff Steinborn and Rep. Nathan Small, both Democrats from Las Cruces, sponsored memorials requesting the tourism and economic departments study the effects of creating a state office of outdoor recreation in 2017 and 2018. The move would match one made by Colorado, Montana, North Carolina, Oregon, Utah, Vermont, Washington, and Wyoming. Each of those states has created an office of outdoor recreation or director of outdoor recreation industry. The job generally runs two directions: running outreach and serving as a point of contact for people and businesses involved in outdoor recreation, and weighing in on state policies that would affect outdoor recreation. In 2018, those states’ outdoor recreation directors signed on to Confluence Accords, committing to a series of goals around boosting the visibility of and appreciation for outdoor recreation as an economic and political force. Among those priorities are conserving places where people play as a component of healthy environments and communities, stabilizing funding for public lands, developing careers in the outdoor industry, and collaborating with tribal and local governments. In Utah, the office has launched a grant program to craft new trails paid for by taxes on hotel rooms. 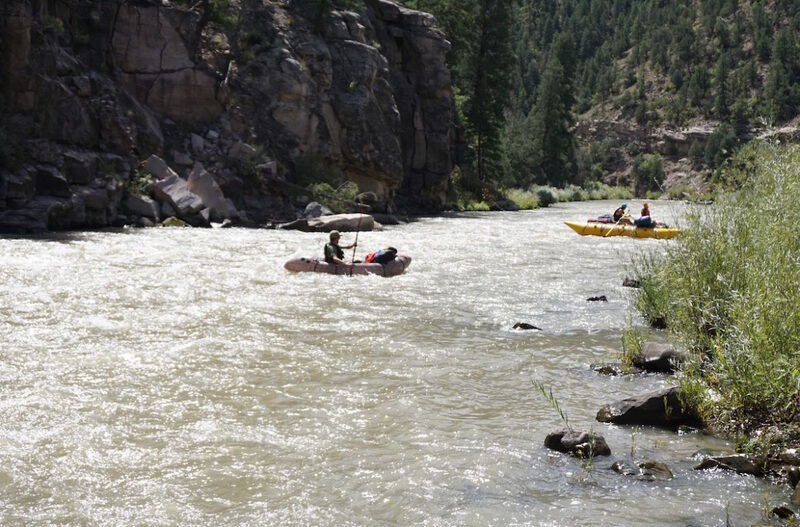 In Colorado, it’s helping small towns with economic revitalization through outdoor recreation and colleges with drafting curriculum to train adventure tourism leaders. In Wyoming, the office hosted a legislative forum for business owners to talk about how to tap into outdoor recreation. Already in the Land of Enchantment, outdoor recreation generates $9.9 billion in consumer spending, according to research funded by the Outdoor Industry Association, and $623 million in state and local tax revenue. The administration is still recruiting and interviewing candidates for the job. Santa Fe is known for food. Really good food.